The solar eclipse on 20th March 2015 will be visible as a partial eclipse in Lapland. If the weather allows and it's not too cloudy, SGO will offer the chance to follow the eclipse on our web pages between 11:00h and 13:00h. Additional information on how to watch the eclipse safely is available, e.g., from the Royal Astronomical Society. 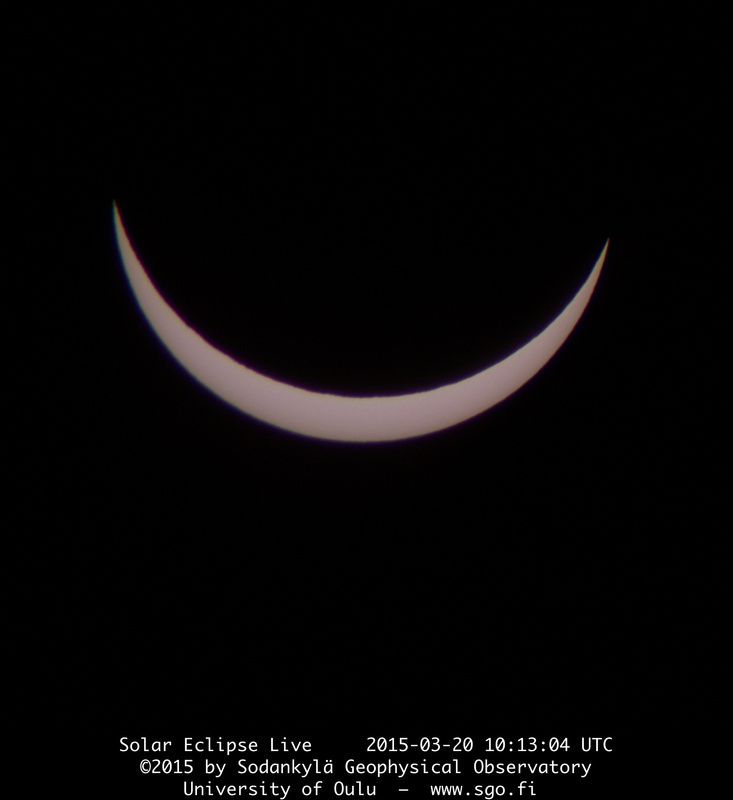 The eclipse begins at Sodankylä at 11:08h and ends at 13:18h. The maximum is at 12:13h when the Moon covers just over 90% of the Sun. The exact times change with location. All times given at East European Time. Important: Never watch, film or photograph the Sun without proper protection and filters! Watch the time lapse film of our web cast here. Last modified: 05 January 2017, 08:39:12.